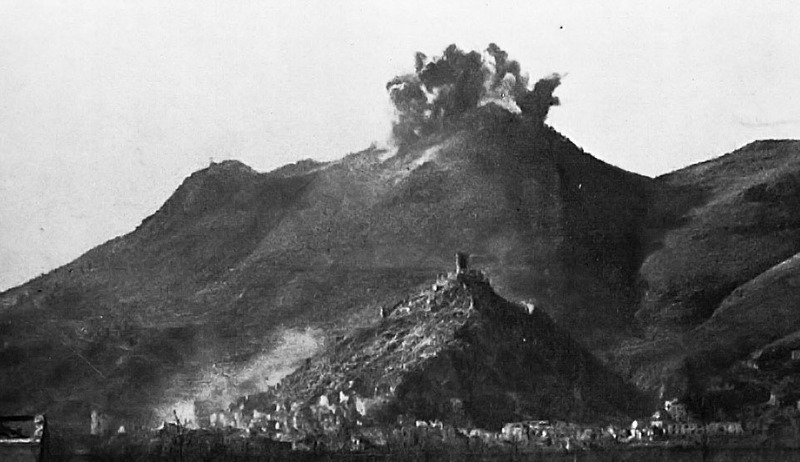 The bombing of the Monte Cassino abbey, 15 February 1944. 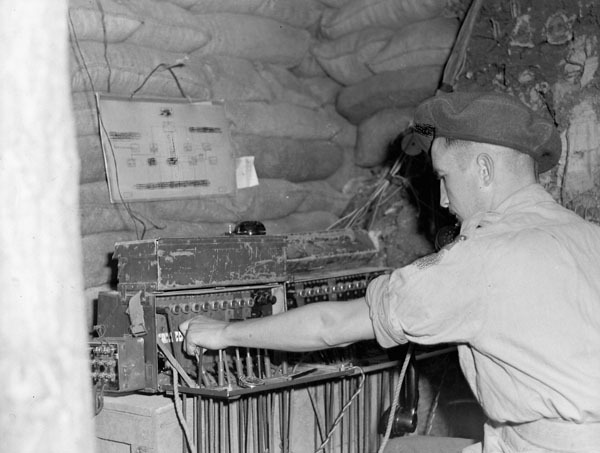 In the spring of 1944, the Germans still held the line of defence north of Ortona, as well as the mighty bastion of Monte Cassino which blocked the Liri corridor to the Italian capital. Determined to maintain their hold on Rome, the Germans constructed two formidable lines of fortifications, the Gustav Line, and 14.5 kilometres behind it, the Adolf Hitler Line. 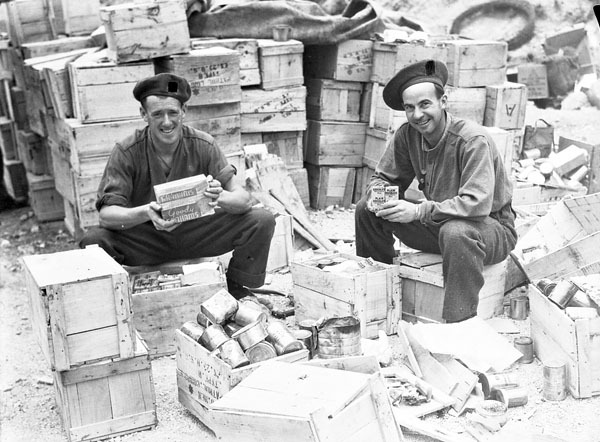 Captain W. Noble of The Highland Light Infantry of Canada having a rest, France, 20 June 1944.